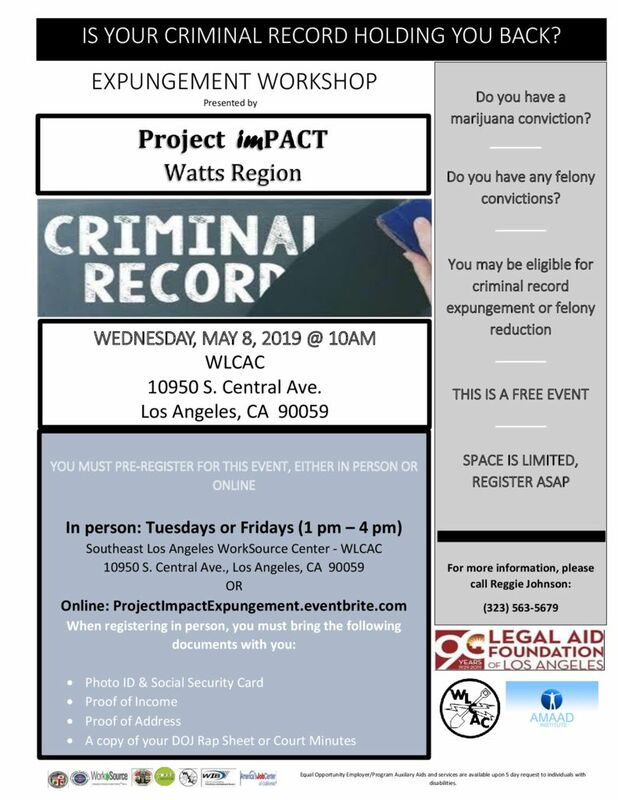 Record Expungement – Project imPACT Watts is offering a FREE Expungement Clinic. All participants MUST pre-register online or in person. When registering in person you must bring: Photo ID, Proof of Income, Proof of Address, Copy of Court Minutes or DOJ Rap sheet. If you don’t have your DOJ Rap sheet or court minutes, you will be provided with instructions on how to obtain them.